If you need to collect or validate data in stores/geographic locations, this definitive guide to retail audits is for you! Who Benefits from Retail Audits and Retail Audit Software? Retailers typically conduct loss prevention and health and safety audits at set times throughout the year. Operations, service, and merchandising audits may be conducted at regular intervals or to prepare for and support a store specific initiative or seasonal program. Retail audits can be announced or unannounced. Audits may be conducted as a “self-audit” by a franchisee, store manager/employee or by a district manager/field representative visiting the store. Retail audits promote higher overall compliance with brand standards at the store level. How? The practice of sending a district manager/CPG field representative into a franchise/store demonstrates compliance is a priority for the brand: the company is committing resources to this endeavor. Completing the audit in store also reinforces brand standards for district managers/CPG reps. Describe the standard, attach a best practice photo or document, and weigh points or flag certain items so that auditors can easily identify company priorities. Training is necessary, but training is not enough. The only way to know that employees are applying their newly learned skills is to visit the store. Compliance with health and safety, loss prevention, merchandising standards (etc.) is best achieved when everyone is aware that standards are continually verified. Treat retail audits as an ongoing learning opportunity, a chance to coach each store to attain greater success. Audits engage the store. Retail audits are not a passive activity. They offer the opportunity for members of head office to talk with store leadership and employees. Ask questions, listen, and offer resources. Different stores execute in different ways. Stores have diverse priorities based on their experience. This is expected, but companies need to be certain that core programs and brand standards are implemented in full, on time, and across all locations. The only way to know if stores are really executing merchandising, operations, or loss prevention programs is to have a retail audit process in place. Each store/franchisee/CPG display is a brand ambassador. 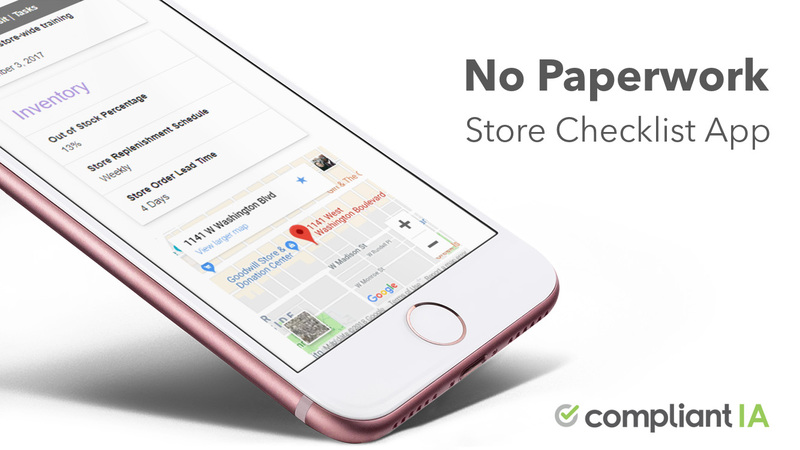 Disappoint a customer in one location and they may stop going to all of your locations. The average grocery store has almost 31,000 SKUs. If a product is not where the consumer expects it to be, the customer chooses a comparable alternative. Failure to execute brand standards in one store not only hurts the sales of that location, it can impact the entire company’s bottom line. Attractive, well run stores/displays attract customers. Companies must create exceptional customer experiences including visually attractive displays, clear signage, easy to navigate aisles/sections, and employees who are ready to engage and help. CPG displays should be well stocked, well lit, and kept in top condition. This is the difference between drawing the customer to the product or letting the customer’s eye wander to a competitor. Beyond attracting customers, a brand committed to excellent in-store execution is a brand that attracts potential franchisees. Potential franchisees are more likely to invest in an operationally strong, well-run brand than one perceived to be deficient or inconsistent. Retail audits increase customer satisfaction, mitigate risks, and drive sales. Below, the ways implementing a retail audit program impacts the company by role. See gross product sales increase by up to 1%. Reduce unnecessary waste from merchandising programs not executed properly. Prevent claims, loss, and fees associated with health and safety neglect. Increase customer satisfaction with well-run stores. Reduce inventory and storage cost by ensuring shelves are stocked and selling through. Automate with retail audit software and save as much as 145 minutes per audit per store. Disseminate company standards by easily communicating best practices. Use data analytics to identify trends and areas for improvement to make educated business decisions. Ability to track KPIs across programs, divisions, stores, and individuals. Measure and track compliance in stores in real time. Reduce labor waste and costly back-and-forth with a system designed for two-way, trackable communication. Create a collaborative workflow with district managers/field representatives and stores. Assign and track task completion. Time and labor savings resulting from the ability to ramp up quickly with access to store’s performance history. Central repository for store data that can be accessed on any device at any time. Easily review performance history to advise and engage store employees. Use data to coach store manager/franchisee. Track repeat unacceptables, trends, and compare store to district. Assign and track resolution for non-compliant items without back-and-forth emails and repeat follow-up calls. Access to best practice pictures and documents in a central repository coupled with performance data. Easy to use reports that pull data for their specific location for review and comparison purposes. Ability to self-identify areas for improvement. Time savings for new managers and franchisees to ramp-up quickly on store’s history, performance, and brand standards. Improved experience due to consistent execution of merchandising, service, and health and safety standards. Reduced frustration as products are easy to find because store is well-organized with shelves stocked. Building brand loyalty. Customers return to stores that are well run. 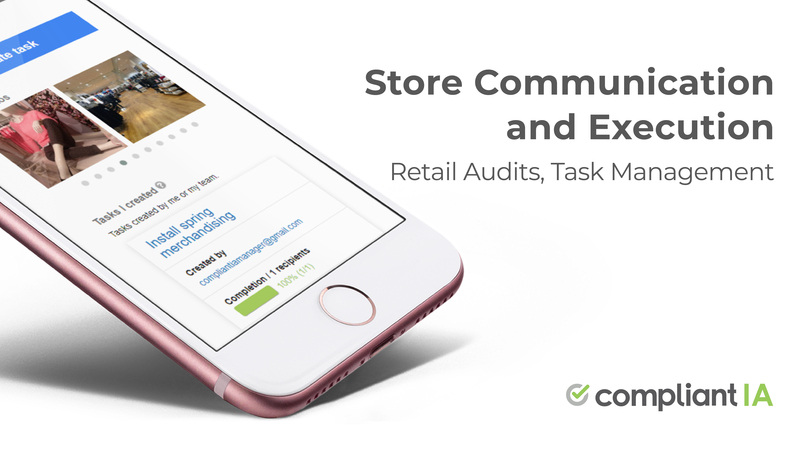 Ready to institute retail audits across your locations? Whether you have 5 or 50,000 locations, implementing a retail audit program does not have to be time consuming or difficult. Define the scope of your data. What do you want to know about your stores? What do you want your stores to know about the company’s best practices, operations standards, merchandising expectations, service standards, etc.? Is raw or aggregated data more important to your company’s decision making? Do you need both types? Decide who to involve. Who will conduct the audit? Who views what data? Will you include all stores or only some? Build your form. Define the standards and clearly communicate expectations. Attach best practice pictures and documents to provide additional illustration. Deploy the program and track results. Decide if you want to automate. Can paper forms and email follow-ups address your needs? Will paper and email scale with your business? Can you track/view raw and aggregate data? Can you filter and narrowcast your data to find the data set most important to you? The decision to automate the retail audit process should consider your brand’s activity and potential liability/costs that inconsistent/poor execution may have on the brand’s image and bottom line. What should go on a retail audit checklist? The answer depends on what you want to know about your locations. Are you a retailer starting your audit program from scratch? Are you a CPG brand interested in shelf space, pricing accuracy, and tracking your competition? Regardless of the specific circumstances, here are a list of best-practices, intentionally high-level, to help you build your retail audit or CPG merchandising checklist. Group items into sections sorted by the flow of your locations. Sections should be laid out to match the natural flow of the store walk: moving in from the exterior, working through aisles, and finally into the back of the store. Setting up the form in relation to the natural flow of the store walk saves time and is more intuitive for the auditor. Think about “non-applicable” items. One benefit of retail audit software is the ability to “hide” items that are not applicable to all locations. For instance, all locations may not have a drive-thru. The ability to disable entire sections or items at certain locations also saves time and is more intuitive for the auditor. Avoid large sections. Using a larger number of small sections helps with data-entry on mobile/tablet. Additionally, using smaller, more specific sections results in granular and meaningful reporting. Use points strategically. While all items may be important, some are more important than others; some items are critical to the success of your company. For instance, sterilizing clinic equipment. If you choose to score your items, assign point value accordingly. If you are using retail audit software, you can attach a best practice picture or document to an item to illustrate or explicitly explain the standard. Your auditor can also attach photos to demonstrate compliance or non-compliance. Think about frequency. Some companies may conduct as many as one audit per week or even have store managers self-audit daily. Others may only visit once per quarter. Some companies use one form to capture data about core standards a few times per year and use a different form to audit more frequently for special promotions or seasonal changes. “Calibrate” your form. Discuss the form(s) with your operations/merchandising teams. Gather their feedback and input. Think of your form as an audit tool and as a vehicle for training. After receiving feedback, rework your form accordingly. Buy or Build. Decide whether you want to build your own audit software or buy an out-of-the-box retail audit solution. Retailers and CPG brands can conduct numerous types of audits: operations, merchandising, loss prevention, health and safety, training, facilities, etc. Below we define four of the most common types of retail audits. Both multi-unit retailers and CPG brands invest a large amount of resources in branding, signage, and displays. Brands use merchandising audits to track the execution of in-store programs. Lack of in-store execution can be costly, with sub-optimal merchandising leading to a 1% loss of gross sales. Across the board, display compliance can be as low as 40%. It is a retail best practice for multi-unit retailers to combine merchandising audits with audits for general store presentation and cleanliness to ensure customers have an optimal experience. Loss prevention audits are designed to minimize waste, vandalism, theft, and risk. Taking a prevention vs. reaction approach reduces costly disruptions, protects the brand and helps build up the relationship between head office and store. Loss prevention audits put your policy front and center and makes the process transparent for stores. According to retail experts, employees are the best line of defense. Loss prevention audits reinforce previous employee training, demonstrate that loss prevention is a company priority, and offer the opportunity for employees to ask questions. Health and safety audits ensure compliance with government regulations and proper product handling to protect companies from lawsuits, claims, brand tarnishing events, and other costly disruptions. Health and safety audits are not limited to foodservice fields. Pharmacies must ensure medication is properly stored, secured, and dispensed. Constructions sites need to monitor for proper equipment, signage, and barriers as work progresses to keep both workers and the public safe. Furniture retailers should keep cords, ladders to bunk beds, and décor secured appropriately. Distributors must monitor worker safety and ensure that delivery and warehouse personnel lift and move products correctly to avoid injury. Health and safety audits should be conducted routinely, with critical issues always a part of every audit. Doing so will support operational best practices and employee training. Turnover in retail can be high, so a regular emphasis on health and safety keeps everyone involved and informed. Competitive analysis audits are most commonly conducted by CPG manufacturers to track competitor activity in a specific vertical. To make the most of a competitive analysis audit, it is critical that you carefully consider the scope and the data you want to gather before sending your reps into the field. Choose your product. CPGs often manufacture more than one type of product. First, consider what specific product you want to know about. Then, identify your top 2-4 direct competitors for that product. If you are interested in gathering data about several products, ensure that each product has its own section on your form. Consider what you want to know. Are you interested in your competitors pricing strategy? Special promotions and offers? How they define and talk about the product? Number of facings? Product location and POP displays? Consider where you will visit. CPG brands may have their merchandise in 1000s of locations. Will you visit all locations or a selective sample? Consult with your retail partners. Before leaving the store, consult with your retail partners and employees on the floor. Are employees likely to recommend a competitor over your product? Are employees knowledgeable about your product? Are they knowledgeable about your competitor’s product? Remember, successful collaboration and a positive relationship with your retail partners can raise shelf stock rates by 5-8% and reduce manufacturing costs by 5-15%! For tips to promote better collaboration with your retail partners see: 5 Tips to Improve CPG and Retailer Collaboration and In-store Demonstrations Improve CPG & Retailer Collaboration. Retail audits can be conducted by any employee within a company but generally they are handled by a district or regional manager, a franchisee, a CPG field rep, or a mystery shopper. Below is a summary of how to perform a retail audit. Schedule the audit. If you are using retail audit software, use the built-in calendar to choose the location and form. Some audits are announced (notification is sent to the store manager) while others are “unannounced.” Unannounced audits allow the district manager to gauge the store’s compliance with standards with no additional preparation or training. Prepare for the audit. Review the location’s last audit for performance. Make sure you know the names of the current management and owners at the location. Compile any remarks or questions. These notes can be entered into the general comments of the scheduled audit so you can refer to them when you arrive. Conduct the audit: Take the point of view of your customer, starting with the exterior and working your way in and through the interior. It is a best practice to design your form according to the natural flow of the store. While retail audit software will allow you to jump easily around between sections, setting up the form according to the location’s natural flow saves time and is more intuitive. Think about who uses the form in the store. District managers will have priorities that differ from a Consumer Packaged Goods (CPGs) field representative. Design your form and items (questions) accordingly. Switch devices if necessary. Whether you prefer to work on mobile, PC, or tablet, choose a retail audit software that is device-agnostic. This means you should be able to start, resume, and finish the audit on the device most comfortable for you without issue or delay. Include photos and notes. Most people respond strongly to visuals. Photos provide unmistakable evidence of success and deficiencies. Create an action plan to assign and resolve problems. An action plan is a continuation of the audit focused on resolving non-compliant issues. Action plans pull together all non-compliant items and assign them to a specific person with a specific due date for resolution. Action plans are a prime way to save time and money in your company. In Compliantia, action plans eliminate the time-consuming, ad-hoc communication between store and head office. Action plans empower district managers/field reps to work collaboratively with stores by sharing notes and picture verification. Compliantia enables head office to track action plan resolution in real time and make resolution recommendations. Get the store’s buy-in. Once the audit is complete, ask the store to “acknowledge” the audit. Acknowledgment is an electronic signature and allows the store to accept accountability for the audit’s results. Acknowledgment also offers an opportunity for the store to comment about the audit. This ensures a flow of communication from the store up to head office. Share your results. It should be easy to share results with the store, head office, and any other relevant stakeholders. Retail audit software allows all stakeholders with security permission to view, interact with, and run reports for the audit. Follow-up on the action plan. You could follow-up by phone or email. However, with retail audit software you can save considerable time with automated reminder communication and reports that allow you to track completed, late, and outstanding action plans with one click. Plan your next audit. Repeat the cycle. Regular visits to stores promote head office standards and improve operations and merchandising execution. This results in improved customer satisfaction and increased sales. The action plan is a vehicle for improvement and a way to close the loop on deficiencies (non-compliant items). Action plans designate an individual responsible for resolving a specific problem at a specific location. Assigning each non-compliant item with a target date for resolution fosters ownership and accountability at the store level. Using retail audit software, head office can provide action plan recommendations to promulgate resolution standards. Action plans eliminate time-consuming back-and-forth and ad-hoc communication. District managers/field reps and stores can work collaboratively by adding and sharing notes and photos. Success in retail depends on execution at the store level. By design, the action plan is execution in action. It is the key tool for resolution at the store level and a major area for generating labor savings and greater return on investment. A thought-out, field-tested form is at the center of any successful retail audit program. The store data you want to gather will determine the scope of the form (operational standards, seasonal programs, health and safety, execution of POP displays, etc.). When launching your retail audit program or a new form, it is important to take the time to vet or calibrate the form with a sample group of users and locations prior to the general launch. Doing so before you launch your form across all locations saves time, money, and frustration later. Begin with a key segment of users and locations. The form should provide coverage for all areas of interest to the business and be laid out in such a manner as to optimize the district manager’s/field rep’s time during the visit. Solicit feedback and adjust the form. The judgment of district managers/field reps is extremely important to the success of any audit program. However, consistency in rating and resolving issues are equally impactful for program success. Consistency develops the store’s trust in the overall score. Consistency also lends itself to better reporting and comparisons across locations and users. Calibrating the teams involves training personnel on company standards and expectations for handling and rating non-compliance. District managers/field reps need to be prepared to deal with sometimes sensitive and confidential personal and business issues. Retail audit software can help reinforce training with supporting documents attached to forms at the section or item (question) level and make action plan recommendations. Most managers/franchisees are proud of their work and do their best to execute brand standards. Receiving a low score for a retail audit can be a lot to deal with and elicit strong emotions. Helping a location manage expectations begins before the audit even takes place. It is up to head office to set the tone for and communicate the purpose of the audit program. A retail audit program is not about achieving perfection. Human error occurs, turnover happens, and unexpected changes need attention. It is not uncommon for even the best managers/franchisees to drop a ball or two occasionally. The purpose of an operations, loss prevention, or merchandising audit program is not to achieve a high score, it is to improve execution of brand standards which results in improved sales and a boost to the bottom line. Treating retail audits as “big brother” checking in is not helpful. Instead, clearly state that retail audits represent an opportunity to learn, to develop, to ask questions about and clarify standards, and improve the store. To ensure consistency in rating and promote trust in the audit process, be as clear as possible as to how form items should be scored. It is not a best practice to ask, “On a scale of 1 – 5, is the store clean?” Instead, include best practice documentation and recommendations as to exactly what a score of 1 looks like vs. a score of 5. It is not unusual for a low score to elicit strong emotions. To help stores process a low score change the conversation from one about failure to one about opportunity. Do not obsess about the score. Perfection is elusive in life and in retail. The retail audit process is not about achieving a perfect score the first time or every time. Remind stores that a retail audit program focuses on improvement and growth. Do not waste the opportunity. After a low score, the district manager can coach the store, implement additional training, and help the store improve. Managers/franchisees have the opportunity to recalibrate and make branding, execution, and leading by example when it comes to standards a priority. Store employees can get involved, grow professionally by taking on responsibility, and take pride in improving the store. Many retailers who do monitor store compliance with company standards continue to rely on paper, email, and phone support. While phone and email are ubiquitous methods of communication, neither was designed to be bi-directional, traceable, or reportable. Using Excel or paper for your forms can be slow and labor intensive. Scores must be tallied, data gathered, input and shared, multiple emails must be sent to report deficiencies. A completed audit sitting on someone’s desk is no help to a company that requires up-to-date data to make informed business decisions. Retail audits have measurable benefits inside and outside of the company. For companies who continue to rely on paper/Excel, automating retail audit programs with software demonstrates ROI on process improvement alone and gives all levels of the company access to data instantly. Retail audit software saves 145 minutes per audit per store. Scheduling the audit and notifying stores is automated. Review past audits quickly using reports instead of sifting through paper/email and creating a summary. Forms are intuitive: only showing items (questions) that are applicable to the location and the user. Data does not need a summary but is available to all levels in real time. With one click, action plans are automatically created for all non-compliant items identified during the audit. Assign action plans and tasks and let the software automatically follow-up on overdue responsibilities. For the company, retail audit software eliminates the cost of data entry, mailing paper forms, and physical data storage. Software gives brands the capability to adjust forms quickly and eliminates distribution costs. Form builders can work collaboratively with their team on a single platform to calibrate the form as opposed to sharing by email and waiting for a response. Head office can handle unexpected emergencies and changes (product recall, regulation changes, equipment breakdown, viral negative customer review) for any personnel level instantly with task management. Retail audit software saves money lost on poor execution. The cost of sub-optimal merchandising is approximately 1% of gross product sales. Success comes down to proper execution. Only 40% of contracted promotional displays are executed properly. Successful CPG collaboration with retail partners for merchandising execution can generate up to 10% in operating margin improvements and reduce inventories by an average of 10%. Real-time access to information between head office, teams, and stores facilitates identifying campaign problems early on and assigning issues for resolution to correct lackluster campaigns. Companies that deploy efficient processes can do more with less. Almost 8% of loss prevention departments are seeing budgets decrease by 20% in 2018. Use retail audit software to distribute loss prevention policies and review tests to ensure standards are understood at the store level. Task management modules enable brands to assign and track LP policy review. Quickly distribute updates to loss prevention policy. Retail audit software provides a history of due diligence should a critical incident occur. Retail audit software protects the company from claims, fines, and lawsuits due to health and safety violations. 70% of small retail businesses feel overwhelmed by government regulations including safety guidelines and labor regulations. Change employee behavior by clearly communicating health and safety standards. Use task management to assign essential equipment maintenance. Attach policy and regulation updates to the form so that information is easily accessible. Demonstrate due diligence for disaster and emergency preparedness with an electronic, easily accessible audit history for each location. How much will it cost to develop an in-house solution? Ask your IT department to provide you with an estimate. If they have not accurately estimated costs in the past, remember to “pad” the quote accordingly. If IT has provided you with accurate estimates, you now have your target number to beat when researching software solutions. How much will it cost to maintain? Beyond the initial development cost, consider the ongoing costs of producing and updating documentation, support, ongoing development to respond to market and technical changes, and if you need additional employees. Remember, with in-house solutions, 70% of software costs occur after implementation. Will your own solution accomplish what you need? Will it work on all types of devices? Is the calendar integrated with Outlook? Do you have the reports necessary to give you aggregate and raw data, track trends, compare locations, and easily follow-up on unresolved issues? Will it be intuitive to use? Have you solicited feedback from your operations or merchandising team to understand their must-have features? Compare features. Once you know your must-have features, compare apples to apples with purchase ready solutions. Addressing 75% of your needs with a bare-bones solution will only create frustration and erase any benefits you could have gained with automation. What are the benefits of buying? Competition in the software space is fierce, and you can be sure the market will weed out inadequate solutions. Additionally, to keep pace with the market, software vendors must maintain their edge and continually update and respond to changing trends and technology. Take advantage of free trials! Ensure the solution is intuitive and answers the needs of locations, reps, and head office. It is important to us that you make an informed decision. To this end, we have prepared a list of vendors operating in this space. Retail is always changing. Check back here for continual updates to facts and resources! Probably the most comprehensive article on retail audits and store operations I was able to find. Good job. A lot of useful information in there. Thanks for sharing. Wonderful Article. I really like your blog regarding retail Auditor. Thanks for this information and waiting for more updates.